Moyo and ZEN are being featured on a BBC 1 documentary, Nature's Little Miracles on Sunday night. So do watch them if you would like to see Moyo and his new elephant friends. In the meantime, here is a delightful little clip of Moyo. It also includes his friend Pickles the Warthog, Jessica the dog (together on their daily walk) and some of the other animals at Wild Is Life. The terrifying reality is that in 20 years time we may have no elephants left. An elephant is illegally poached every 15 minutes. And there are currently less than half a million elephants alive. The poaching is driven by the ivory trade. There is a growing middle class in China and South East Asia who consider ivory to be an investment. Ivory carvings are considered a symbol of status and success. 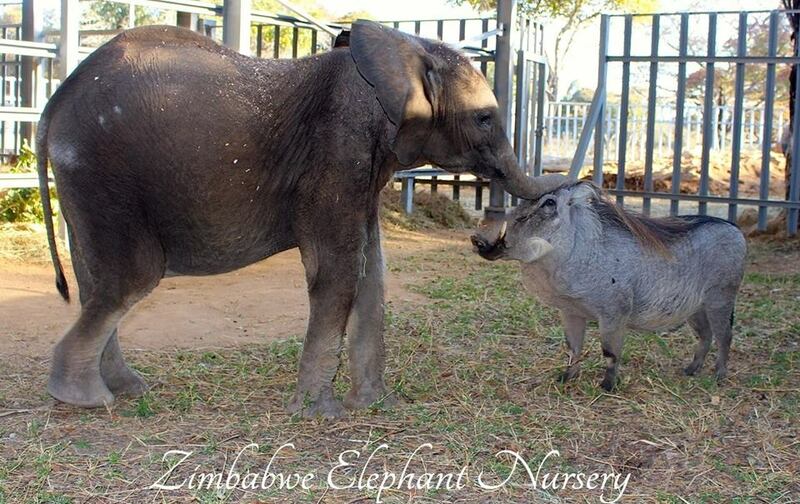 Zimbabwe Elephant Nursery has been established in order to adopt and raise orphaned elephants. This is a pioneer project in Zimbabwe. When the elephant calves have reached 4-5 years old, they will be moved to a protected wildlife area. They will then be integrated into the protected reserve. ZEN seeks to raise awareness about elephants in Africa. It also hopes to educate young people about elephants. I care so much about Moyo ... he is my family. 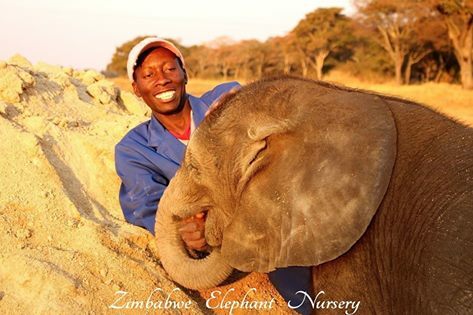 Paradzai Mutize, Elephant Foreman at Zimbabwe Elephant Nursery. "Paradzai leads a team of exceptional men, who provide 'round the clock' care, respect and dignity for our little group of elephants." Roxy, ZEN Founder.